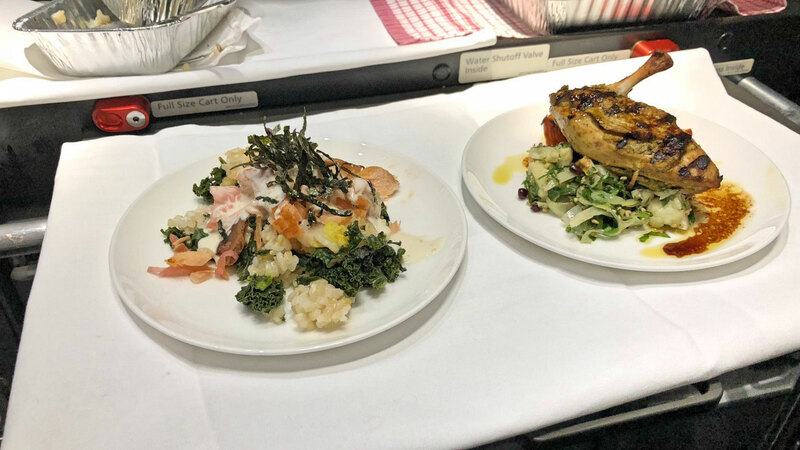 On September 1st Qantas introduced a new direct service between Melbourne and San Francisco adding a new destination to it's US network. 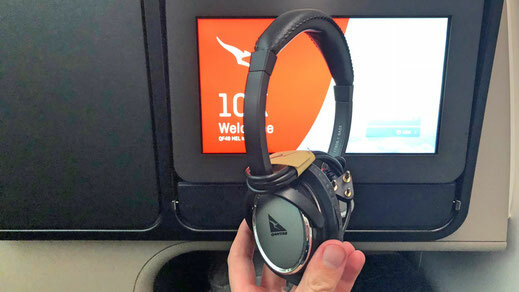 I happened to be on their inaugural flight, finally experiencing Qantas new Business Class on the 787-9 Dreamliner which I wanted to try in a long time. Let's see what their product is all about and why I think that the Australian Airline offers one of the best seats within the industry. 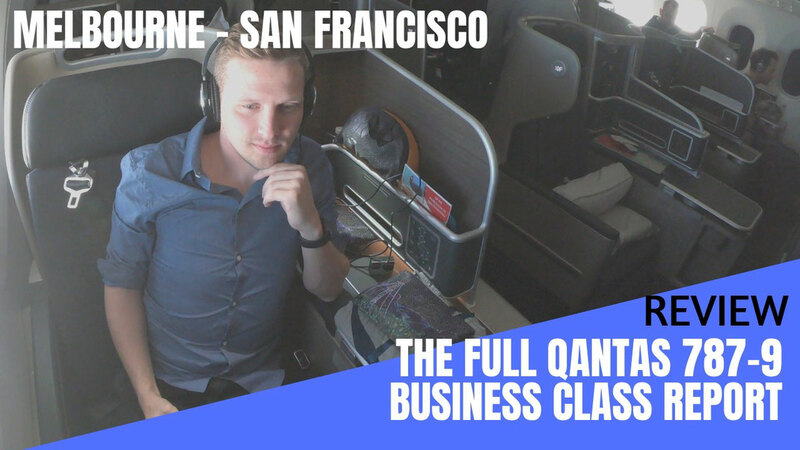 If you don't want to read the review (I know, too many words) you can just lean back and enjoy my video report which gives you a detailed inside of what it's like to travel on Qantas 787-9 Business Class and experience their lounge. 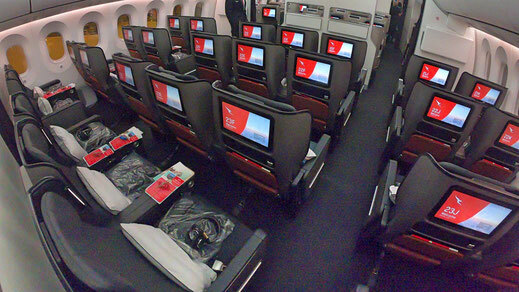 Qantas 787-9 Dreamliner offers 42 Lie-Flat Seats in a 1-2-1 configuration which means that each seat has direct aisle access. 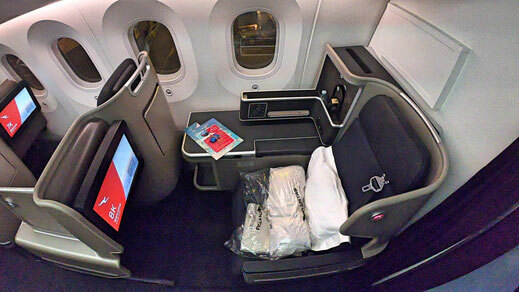 The best seat on Qantas Boeing is 10K. It's the bulkhead seat in the smaller Business Cabin in the back, offering maximum privacy. 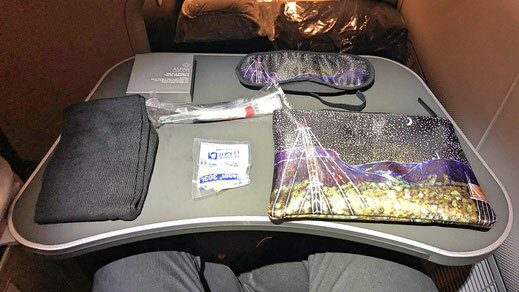 Each seat comes with noise-cancelling headphones, an amenity kit and awesome pajamas. You'll also find heaps of storage space, an USB-slot, a power point, blanket and pillow as well as a bottle of water at your seat. The Entertainment is pretty solid, though not overwhelming. Note that Qantas doesn't provide WiFi on it's flights because their 787's ain't equipped to do so. 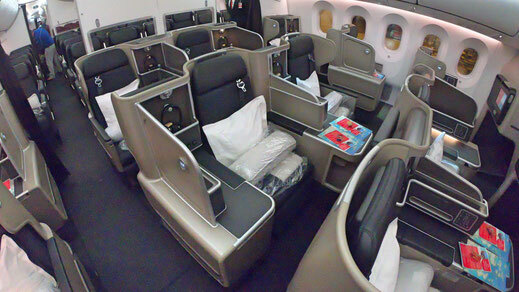 You should also have a look at the Qantas Amex Ultimate Card with a 55,000 Points sign up bonus! 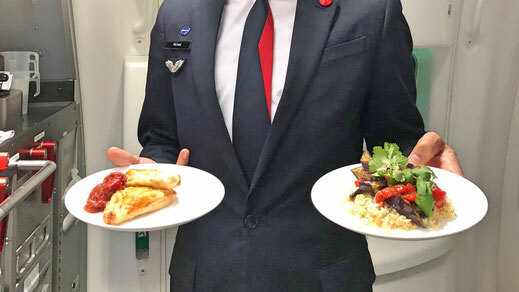 Qantas doesn't offer a dine-on-demand service unfortunately but light meals and snacks in between meal service. Which is good to have on long haul flights beyond 10 hours. 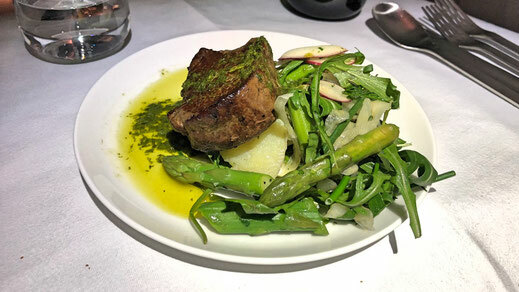 The menu offered a couple of choices such as Strozzapreti Pasta with eggplant or a Ciabatta Sandwich with Chicken and Avocado, Seared Barramundi or the Beef Fillet with grilled asparagus with radish salad, which I decided to have. 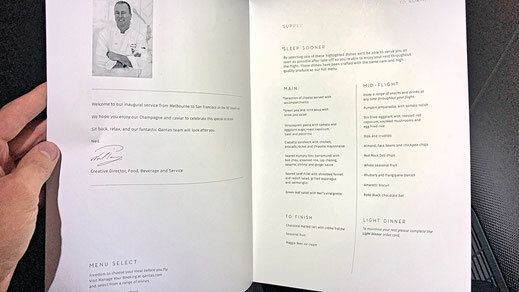 The concept was put together by Australian Master Chef Neil Perry. After dinner the crew gets you to fill out your breakfast order to maximise your sleeping time. Once again the breakfast was delicious. You can choose between all sorts of coffee, toast and sausages or just get fruits with tea. 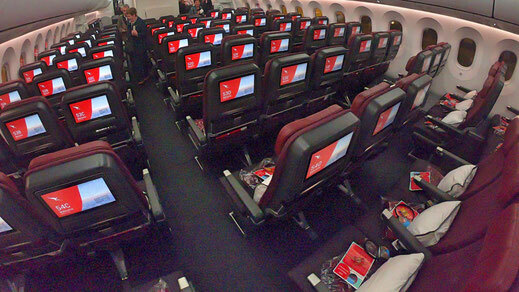 Qantas' Dreamliner features a Premium Economy Cabin with 28 seats in a 2-3-2 configuration. 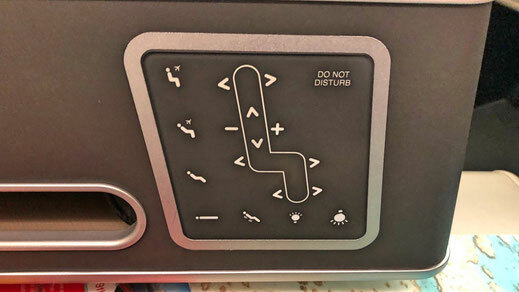 Each seat comes with a power outlet, USB-Slot, a pillow and a blanket as well as a Country Road Amenity Kit, Noise-Cancelling headphones and a personal entertainment screen. You'll also enjoy priority boarding. In Economy Class you'll find 166 seats in a 3-3-3 configuration. Also here you'll be given headphones, a pillow and a blanket and a little Amenity Kit. 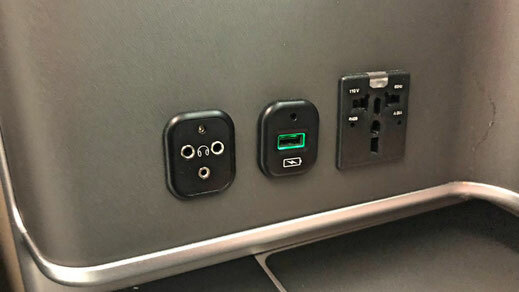 Each seat features a personal entertainment screen, USB-slot and a power outlet. 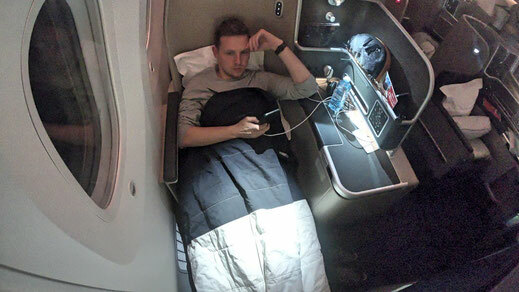 Qantas new Business Class product on the 787 is a really winner. The seat is nearly perfect and can compete easily with the Middle East carrier and is perhaps the best one on the Pacific route to the US. The new dinning concept is light, and probably too light for some people, however I did like to go with an healthy options and that's exactly what Qantas provides. 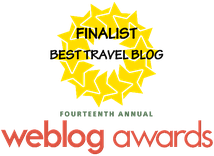 The crew was the real highlight though and there is a lot of Australian Spirit inside those cabins. 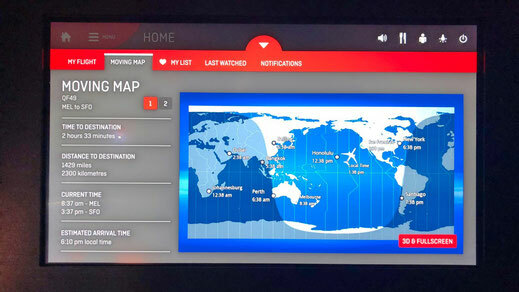 Overall I can strongly recommend Qantas 787 on any route.